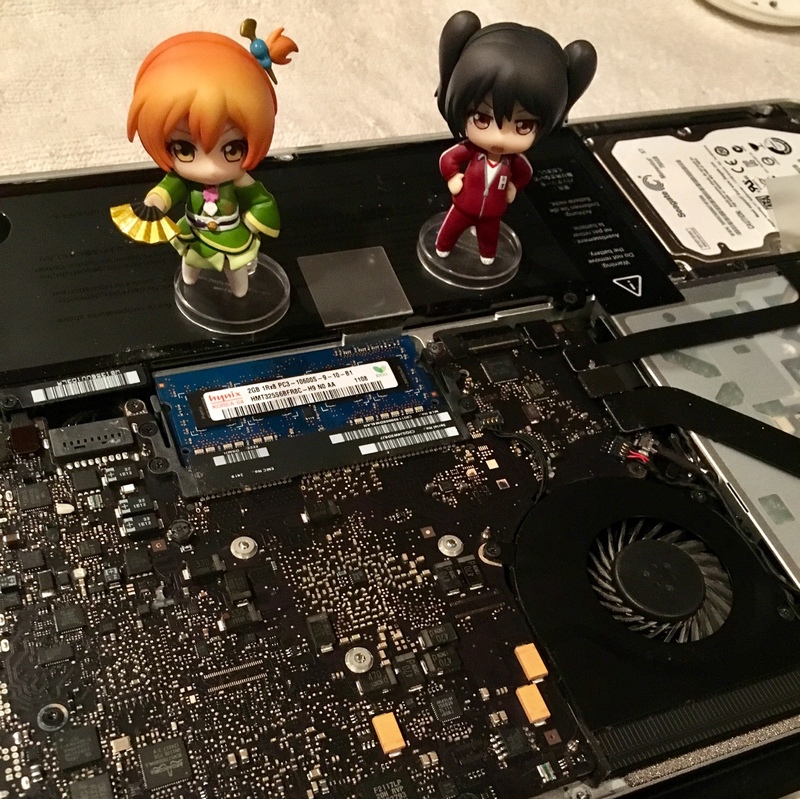 These two µ’s members came to help out with my fan replacement. 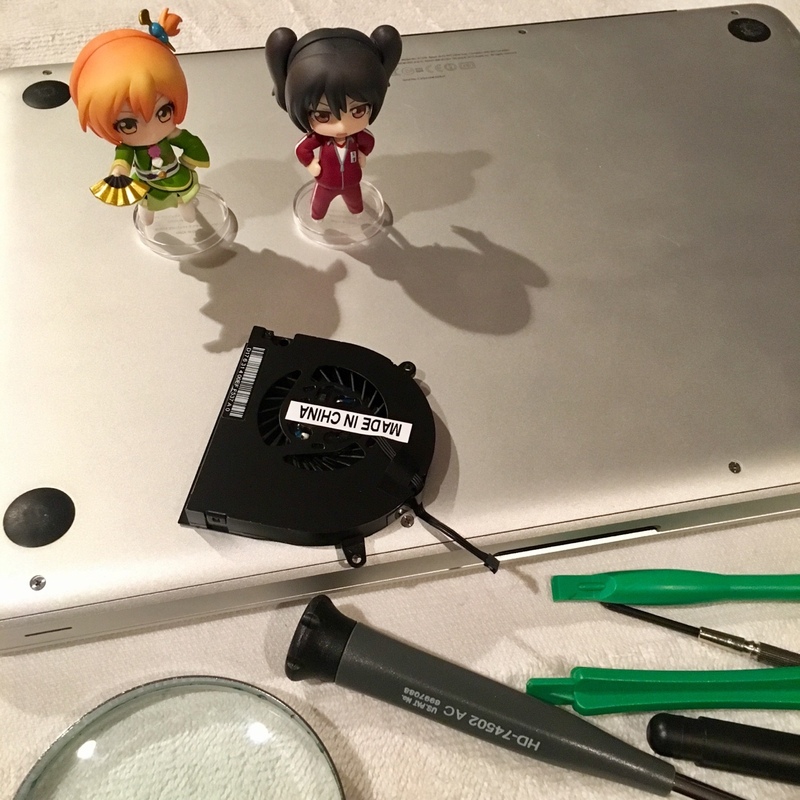 It turned out the horrible sounds were rice grains stuck in the fan, rather than a broken fan. I won’t bring up last year’s incident where someone in my household flooded the counter, resulting in my having to place my MBP in a box of rice for two weeks. What I didn’t know is that there were still some rice inside that must have shifted and got in the fan.